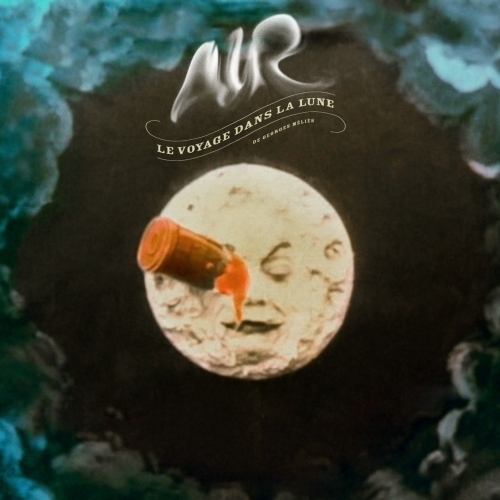 Air has done something quite awesome here: they've provided the soundtrack to a 1902 film by the title Le Voyage Dans La Lune. Directed by Georges MÃ©liÃ¨s, the film was sold in both black-and-white and hand-colored versions. But for more than 90 years, all trace of the hand-colored versions was lost. That was, until 1993, when a decayed copy was found and restored. The film premiered in May at the 2011 Cannes Film Festival, with Air's soundtrack backing the full venture. While I haven't had an opportunity to see the film, the good news is that Air has released this track, and made the album available for pre-order. Oh, and of course, this awesome single featuring Victoria Legrand of Beach House.